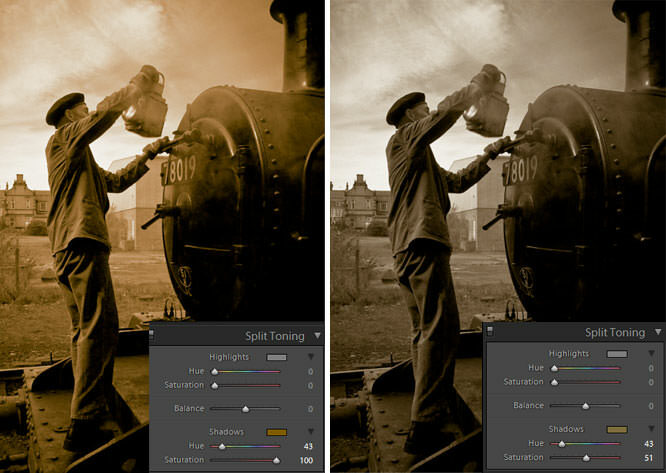 In this tutorial we adjust the tones of our image with Lightroom's Split Toning options. The Split Toning option in Lightroom is simple to use and can help you create some interesting, 'vintage' looking effects on your images. Of course, you don't have to create sepia or other 'old' tones, you could apply other hues to change the look and feel of your shot. For those who don't own Lightroom, there's a similar feature available in Adobe Camera Raw (ACR) when you open a RAW image in Photoshop. Once you have your chosen image open in the Develop tab find and open the Split Toning option by clicking on its title. Once you have the Split Toning tab open you'll notice there are three main editing options: Highlights, Balance and Shadows. 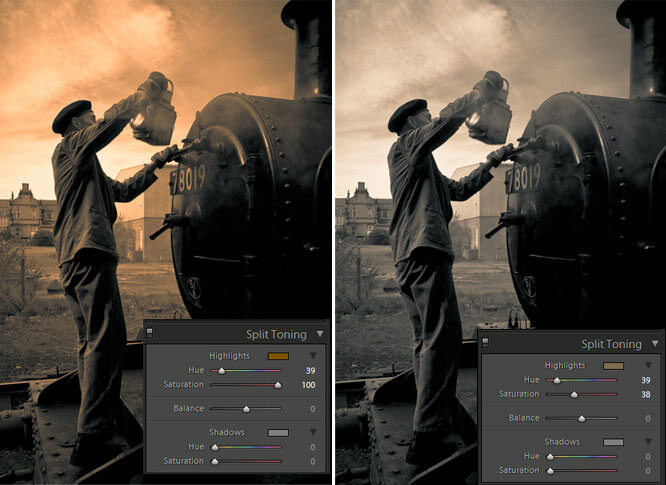 The Hue and Saturation sliders under Highlights will adjust the tone of the highlights in your shot while the Hue and Saturation sliders under Shadows will, as the name suggests, adjust the tone of the shadows in your shot. 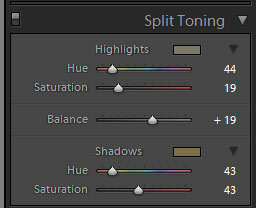 The Balance slider will determine if the shadows or highlights have more emphasis in the midtones of the shot. You can change the colour of the Hightlights / Shadows by adjusting the Hue slider. Then, the further you pull the Saturation slider to the right the stronger the tone applied will be. If you want to be more specific when it comes to picking a colour you can click on the boxes found next to Highlights and Shadows. In the new window that opens you can use the colour picker to select a colour. You can also input a number to select a colour in the bottom left corner and adjust its Saturation with the slider in the bottom right corner. You can also adjust the Hue slider with the +/- keys on your PC's keyboard. If you pull the Hue slider without adjusting the Saturation you'll notice your image doesn't change, however by clicking ALT while you drag the slider you'll be able to see the image change as the various tones are applied. Next, we'll adjust the Saturation to increase the strength of the Hue applied. In the left shot we've pulled the slider all the way to the right (100) to make it easier to see what parts of the image have been adjusted. 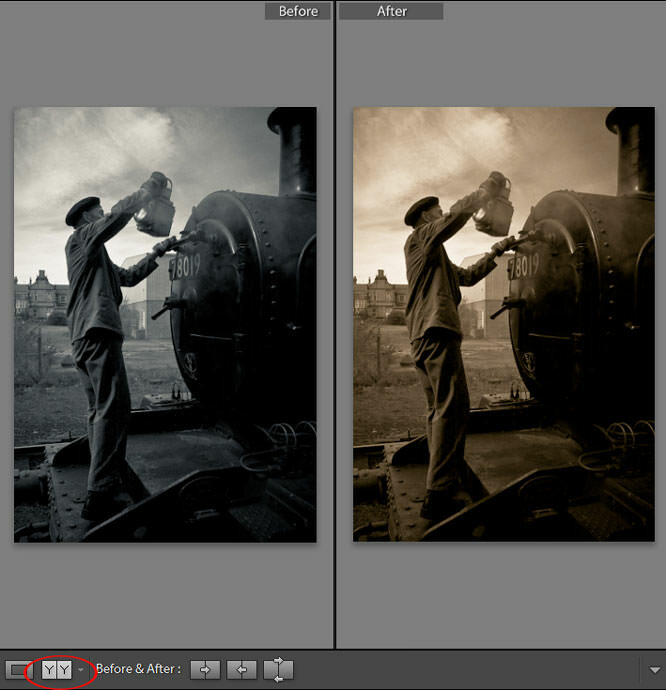 It's far too strong so we've reduced the Saturation in the shot on the right to a level more suited to the image. However, as the adjustment is applied to the Highlights, it's only really the sky and background that have changed and the effect doesn't really work with this particular shot. As a result, we will reset (by clicking on Shadow) and adjust the Shadows instead to see what effect this has on the shot. This time you need to adjust the sliders found under the Shadows heading. Again, the image on the left shows the Saturation slider pulled all the way to the right (100) so you can see the full effect the changes have had on the image. The shot on the right shows a slightly weaker tone applied which is more fitting for the image, however it can still be improved by adjusting both the Highlights and Shadows at the same time. We've stuck to the same Hue as we used when applying changes to just the Shadows but have reduced the Saturation to 43. For the Highlights, we've used a slightly different tone and have reduced the Saturation to 19. We've also pulled the Balance slider to +19 which stops as much of the colour we've applied to the Shadows effecting the midtones of the overall shot. There are a couple of ways you can compare the before and after shots in Lightroom while editing. The first is by hitting the Y key on your keyboard (or by clicking on the symbol found near the bottom of the editing window which looks like two pages with a Y on each of them). 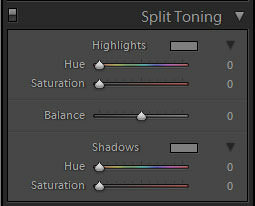 Your other option is to click the preview button found at the top of the Split Toning editing options. It's a small black & white rectangle that when clicked, toggles the changes on and off. 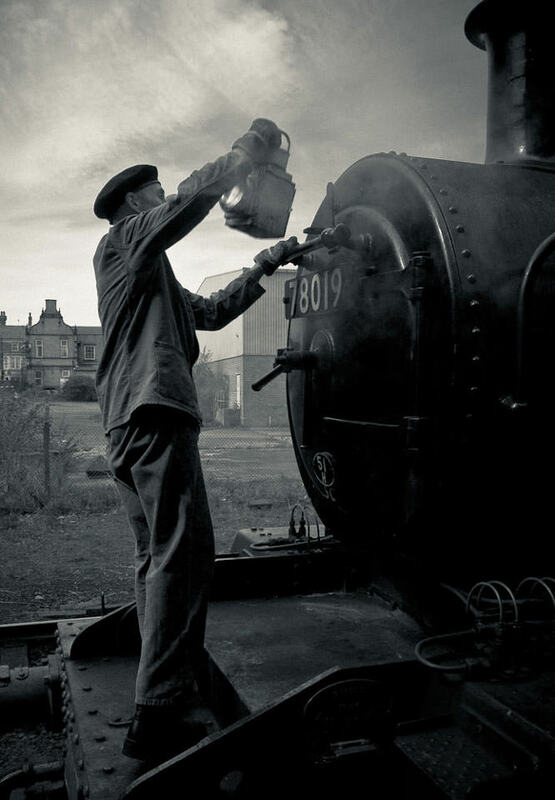 Hmm - Great Central Railway (Loughborough Station, to be more precise), but when was it taken?